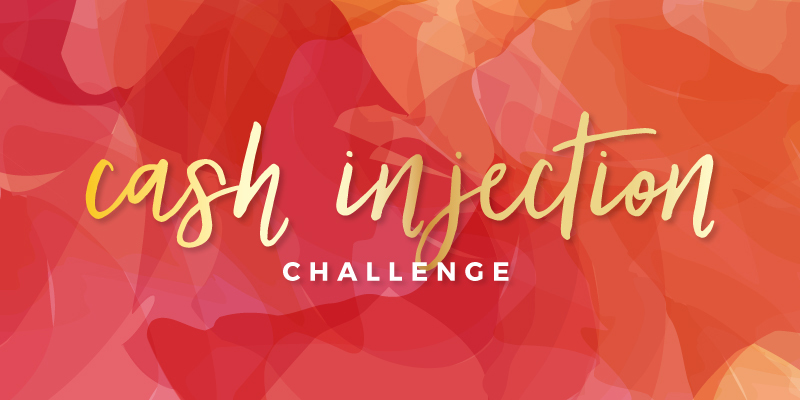 4 Day Cash Injection Challenge! We’re intent on helping Heart Centered Biz Bosses create sustainable and profitable businesses. This means businesses that stand the test of time. So many of us are turned off by the “I made $50K in two days” messaging because it focuses on all the wrong things. Despite that, however, every business needs cash flow and sometimes, it feels way more difficult than it needs to be. When you’re looking at your bank account and the sight isn’t a pretty one, you need to find creative ways of injecting cash into your business. Cash Injections done the right way can be the thing that keeps you in the game rather than giving up. Cash Injections leverage what you have and make it so more people can have access to your knowledge, product or service. So let’s get ready to infuse our business with the money that we know our businesses deserve to have! Day 2: Starting the Possibility Train. It’s like a treasure hunt for money in your business. Day 3: Craft it. We’ll be giving you some proven strategies to make the offer stick. Day 4: Make it. No second guessing the cash injection strategy. Time to take action. 4 Days of action-packed goodness that will get your cash injection juices flowing. You'll get into the zone of positioning yourself to make money by the end of the week. If you're already making money, you'll be able to make even more by implementing these strategies! You know that we'll be there for you! The Heart Centered Biz Bosses is going to be hosting this challenge and this Facebook Support Group is where you'll see me answering your questions, digging in deep with you. You'll find people who are working through the challenge at the same time to keep you motivated! We'll be doing trainings and you'll also find the workbook to keep you on track as you make your way through the challenge. You'll also be hearing from me later on about the Masterclass and Bonus training for those who really want to nail the next Cash Injection in their business! you want to earn the $ you need to buy yourself a new computer. you want to start paying yourself. you know you need to hire a team member. you need to pay down your credit card bill. you want to surprise your family by taking them to Disney. It can all happen by creating a Cash Injection into your business. This is a repeatable, simple process that you can use over and over in your business at various points during the year! You’re not going to want to miss this challenge, heart-centered friend!